BRIGHTON Mayor Tony Foster has called on the Property Council to come up with factual information and not just mouth cheap propaganda calling for local government amalgamations. BRIGHTON Council has joined the National Alliance for Gambling Reform as well as a Tasmanian community coalition campaigning for a curb on poker machines in hotels and clubs. 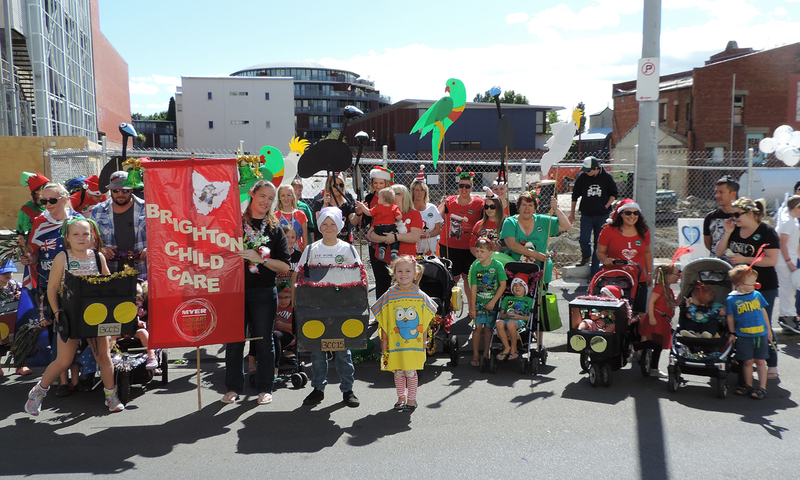 BRIGHTON Childcare recently participated in the Hobart Christmas Pageant. The children, parents and staff joined together in getting in to the Christmas spirit with the theme of an Aussie Christmas. They all walked proudly through the streets of Hobart, children wearing cardboard ‘utes’ that they made at the centre and parents holding emus and parrots made by the educators and parents at the centre. BRIGHTON’S vivacious Lily Kelly, 17, has a degenerative muscular condition but that hasn’t prevented her from reaching for her life’s goals. IN SEPTEMBER, Bridgewater PCYC, supported by Smart City Hobart and SeaFM, hosted a three-on-three basketball tournament. 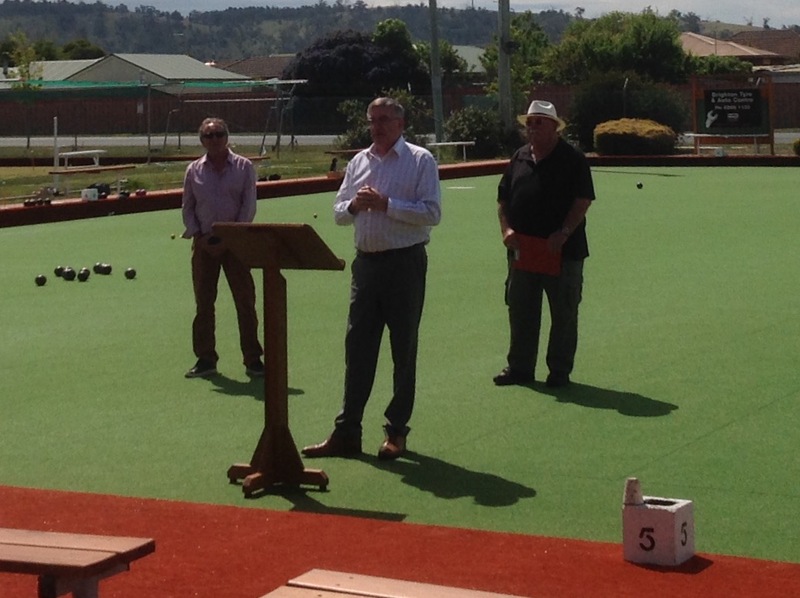 ALMOST 100 members and guests witnessed Rene Hidding, Minister for Police and Emergency Management and Infrastructure, deliver the first official bowl on the Brighton Bowls & Community Club’s new artificial green, after declaring it officially open on late last month. Minister for Police and Emergency Management and Infrastructure Rene Hidding officially launches the new artificial green for the Brighton Bowls and Community Centre. BRIGHTON Mayor Tony Foster has called for a new comprehensive study into the social and economic impact of poker machines on the Tasmanian community. BRIGHTON Childcare and `Friends of Brighton’ held its first annual teddy bears’ picnic last month. The day was a great success with approximately 20 families joining from Brighton and surrounding areas. The day was loads of fun with the children and parents participating in the teddy bears parade and some fun games using a parachute. 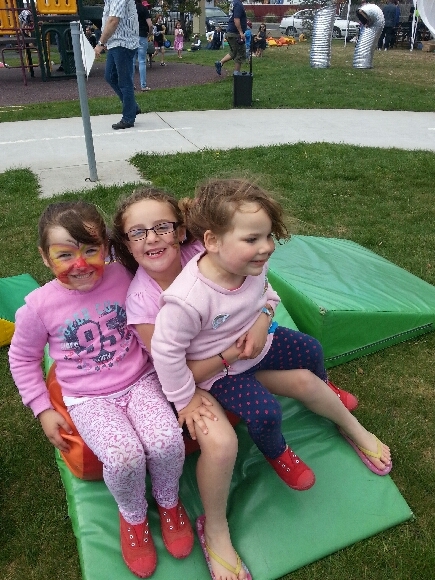 The highlight of this event was bring together families within the Brighton and surrounding communities also seeing the children smiling and having a great time. As this was the first held teddy bears picnic in the Brighton area I think we achieved a great turnout and many families looking forward to next years event. The highlight of this event was bring together families within the Brighton and surrounding communities also seeing the children smiling and having a great time. AFTER many months of planning the Spring Food Festival sprang into life at the Gagebrook Community Centre last month. The idea for the festival was to raise awareness of healthy food options, the profile of Waterbridge Food Co-op and launch the 24 Carrot/Community Blitz ‘My Vegi Patch’ project. Festival goers were tempted with a variety of delicious healthy food options and by 1000s of vegetable seeds, seedlings and kitchen garden plants on offer. 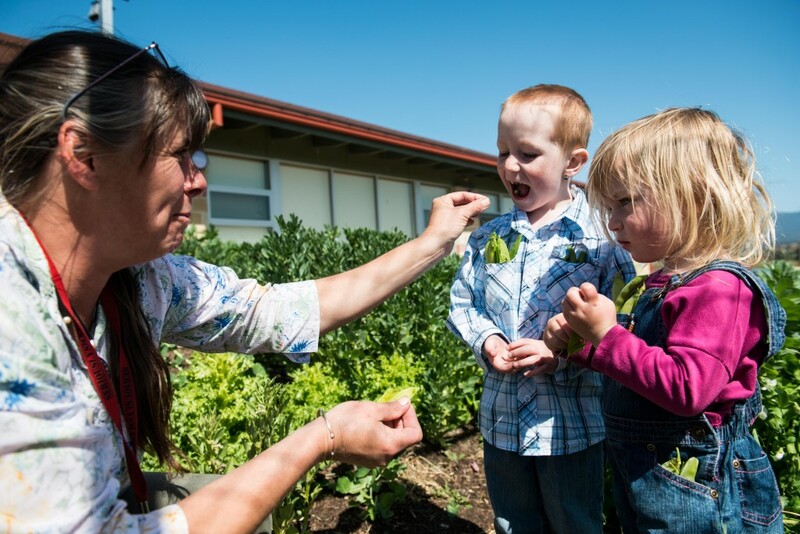 Young festival goers eat some freshly picked peas from the Waterbridge Garden.